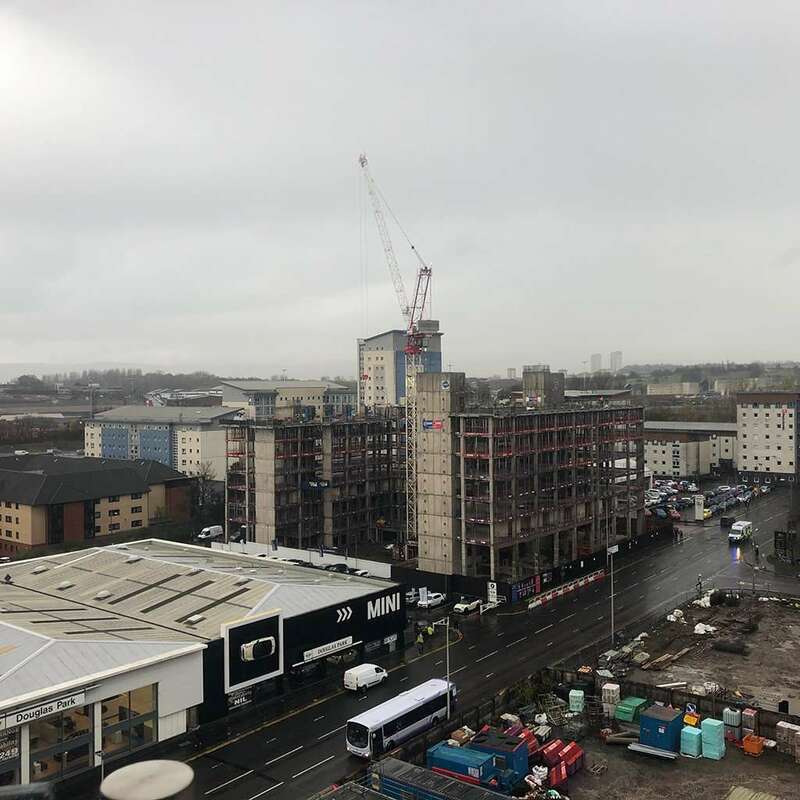 Construction of our purpose built student accommodation scheme at the former Printworks site in Glasgow is progressing well. 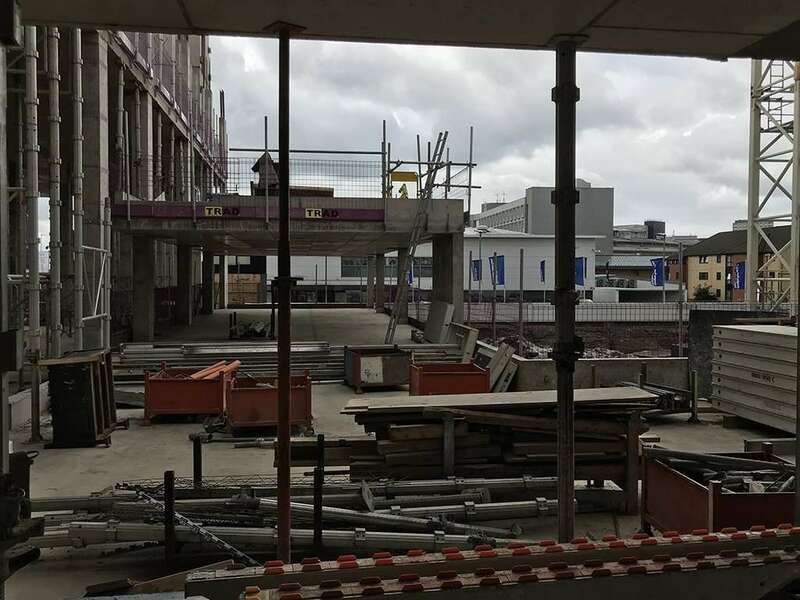 Swift progress is being made with the RC frame and SFS system which is evident from the image provided from the rooftop of a neighbouring building! Image provided by Watkin Jones. Completion is due in Autumn 2019.